As long distance & local movers, we frequently get asked the question: how to save money on moving? As a courtesy for our customers, we put together a tipsheet: Top 6 Time-Saving Tips for Moving. Move boxes and smaller items to a central ground-level location. We suggest the garage or main living room both of which are usually easy to access for the crew. If you cannot move these items to a central location within the house, we suggest stacking these items near the entry of each room. Take all wall mirrors and pictures down off the walls. Lean them against the walls, preferably in one central location, maybe even in a location on the main floor. If you prefer to have the moving crew do it, our professional movers are fast and do this every day – so the choice is yours. Unplug and disconnect all electronics. Wrap the cords and label them for easier reconnection. We suggest using paper masking tape to tag one end of the cord so that you can write what it connects to. Remove all lightbulbs and lamp shades. Pack these in moving boxes or plan to place them in your car for transport so they don’t get damaged in the moving truck with all your other large items. If a lamp will fit in a box, then pack it. Professional movers can carry more boxes at a time than they can individual lamps and shades. Have a plan for where everything is going. Color-code your boxes and rooms for destination. Every person’s handwriting is different and can be hard to read. So, for example, if you place a green sticker or Post-it on every box in your kitchen, and a green sticker or Post-it over your kitchen door, it will make it easier for the crew to place the corresponding boxes in the right room. This will minimize the time the crew spends trying to figure out where things go and will save you from finding kitchen boxes in the basement. 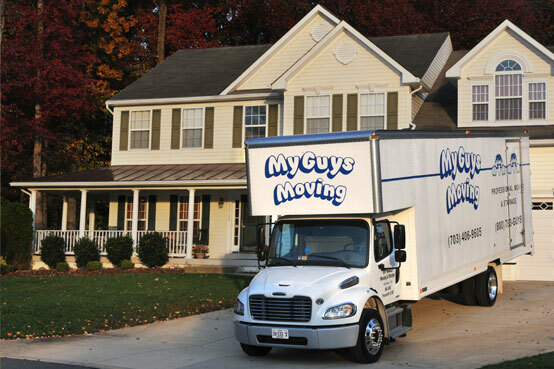 The movers can also unload your boxes at a central location, such as the garage or your living room. This will save you time and money, but leaves you with the task of moving your boxes to the appropriate room at a later time. For liability reasons, our movers are the only individuals allowed on the moving truck and are responsible for loading and securing your household goods. However, you can carry small items and boxes and place them by the side of the truck. Please allow larger items to be carried by two or more members of the moving crew. This is for your safety and that of our personnel.